We believe that brides are beautiful in all shapes and sizes, but we also understand the big day’s ‘deadline’ can be perfect motivation for brides and grooms-to-be to achieve their fitness goals. That’s why we’ve sat down with Daniel Booth from Big Day Fitness to bust a few myths, learn about the benefits of training with your fiancé, and help you avoid those mistakes many make when choosing fitness routines. When is the best time to start training for a wedding day fitness goal? A lot of people make the mistake of starting their training and dieting far too close to the day of their wedding. This will either leave them short of reaching their goals or possibly even resorting to unhealthy crash-diet methods to try and reach their goals in time. Make noticeable and healthy progress with their fat loss, body shape and muscle definition. Make small and effective changes to their diet over time rather than sudden, harsh and unpleasant changes, such as a crash diet. Use exercise as a way to relieve stress throughout the often-hectic wedding planning period. Develop exercise and diet habits that can last long in to the future! What are the mistakes most brides-to-be make when planning their workout routine? There are plenty of mistakes that are commonly made but I’ll narrow it down to three! Being over-ambitious is the first one. Often people will set themselves goals or follow routines that just aren’t manageable for their fitness level, schedule, or time-frame. As a result, they either won’t enjoy the routine or be able to stick to it, which can often make them even more stressed! The final mistake, and possibly the biggest one, is failing to adhere to dietary changes that will help them to reach their exercise goals. A lot of people exercise regularly but see little to no progress. A lot of this comes down to their dietary habits. Dietary changes don’t have to be dramatic and I always focus on setting dietary goals and targets that are simple, effective and sustainable. At the end of the day, food is something we should enjoy and eating healthier shouldn’t be a chore! Is it true that strength training should be avoided? This is one of the most common misconceptions when it comes to training for females. Strength training is essential in the process of body fat loss and developing shape and definition to your physique! If people lose weight without taking part in strength training and balancing their diet correctly, they won’t just lose body fat, they’ll lose lean muscle tissue also. Losing this important muscle tissue will result in less muscle size, definition and shape to their body, which is the last thing that people want! 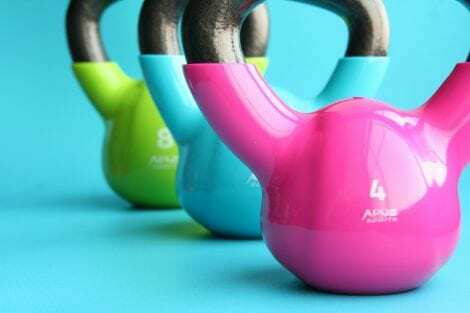 Strength training will also increase metabolism, improve blood pressure, reduce stress and anxiety, improve quality of sleep and, of course, make people stronger and more confident. It certainly won’t make women ‘bulky’ either, which is a big misconception also! Can you help a Bride AND Groom-to-be? Of course! My whole aim is to help to make happy couples healthier. By starting an exercise and diet plan together, couples will be able to motivate each other, feel more positive together and continue their healthy habits beyond the Wedding day. If people want to train together, they can have joint personal training sessions and I can put together joint exercise routines for them to both complete at home or at their current gym. Alternatively, separate individual sessions are often the best option if each person’s goals are different. Training couples with different goals individually allows me to focus 100% on making sure that they both achieve what they want to. What got you interested in couples personal training? My partner actually works in the wedding industry as a musician and she would always talk about her lovely experiences at weddings. It was this that made me realise how rewarding it must be to contribute to someone’s special day. Following that thought I decided to set the goal of contributing in my own way and started specialising in training brides, grooms and couples to feel more confident for their wedding day. I really wanted to offer a personal training service that is genuinely personal and special, much like the other aspects of a wedding itself. I’ve always loved doing what I do and have a deep passion for helping people and watching them succeed, and because of this I’ll always commit 100 per cent of my time and energy to the people that train with me. 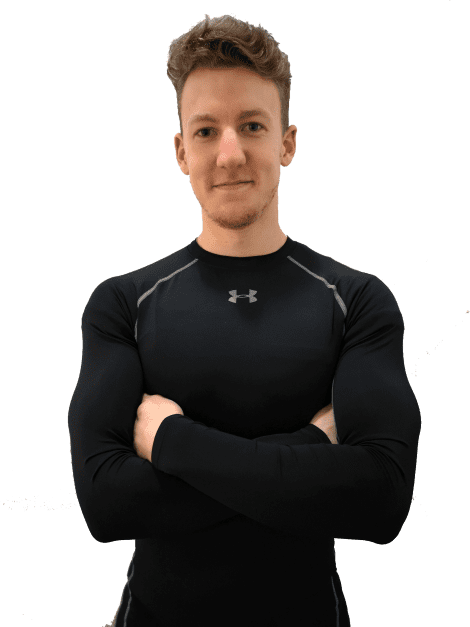 When starting Big Day Fitness, my aim was to provide a bespoke Personal Training service designed exclusively for brides and grooms who are looking to improve their body shape, fitness level and confidence. All of our training packages are flexible to suit any time frame and include bespoke training routines, dietary guidance, unlimited contact with us and regular progress check ins. Brides and grooms can even get their relatives or close friends involved with group sessions and referral discounts, helping those who may also want to train for the occasion! We’re also partnered with some exciting Wedding Suppliers with some of them offering exclusive discounts through us to save couples some money on their Wedding. Check out my website for more information https://www.bigdayfitness.co.uk/.